About The Vanilla Cake Co.
On a snowy day in February 2009, over a much needed roast dinner we discovered that we both had a passion for designing, baking & of course eating cake!! 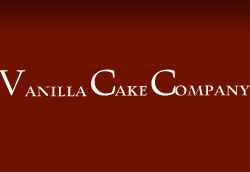 From this moment on we decided to turn our hobby into our business & The Vanilla Cake Company was born. All our cakes are made to your exact specification & range from beautifully iced wedding cakes with hand made sugar flowers to fun novelty cakes for all occasions, including fresh cream cakes. We’re based in Camberley, Surrey but can deliver to venues all over Surrey, Hampshire, Berkshire & parts of London. Please browse through our website & don’t hesitate to contact us if you have any questions about any of the cakes on our site or if you’d like to have a chat about your own designs.